Your Scanner … Reimagined! SecureLink is Digital Check’s network protocol for connecting your scanner to any network device: desktop, laptop, tablet, or even a smartphone. 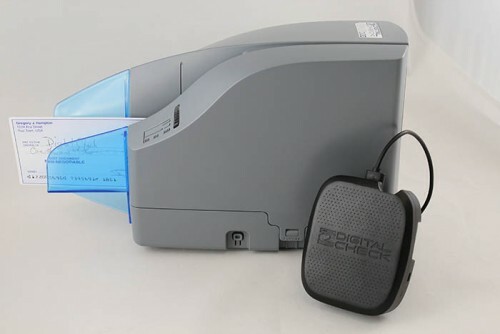 Using either an external appliance (pictured at left) or embedded into the scanner, SecureLink runs the Digital Check API and key functions such as image compression separately from a desktop PC, making the scanner operating-system independent and operated via commands from a standard Internet browser. 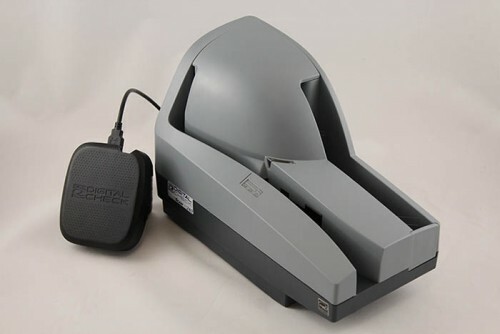 It is ideal for virtual environments where tellers use thin client workstations connected to a central server. The SecureLink external appliance can be used with either new or existing TellerScan and CheXpress devices, meaning you can give your old scanner new life as a network-enabled device. Our new SecureLink 2.0 expands the supported product line to include the SmartSource Expert Elite and Expert Micro Elite, and retains backward compatibility with the original SecureLink protocol. It also features streamlined commands for easier software integration, and supports ID card capture for the first time. Control your scanner from thin client workstations, tablets, smartphones, or anything else you can imagine! 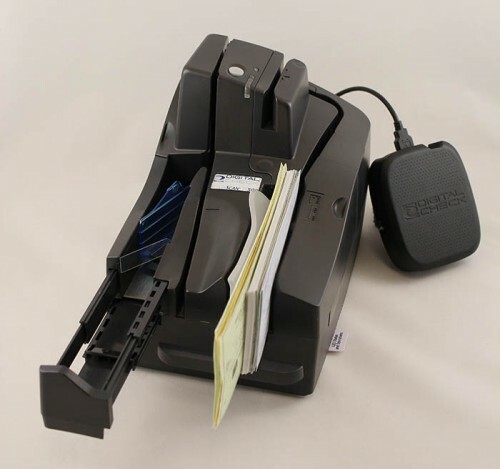 Need to borrow a scanner from someone else’s workstation? With SecureLink, it’s no problem! Multiple devices can be connected to an individual scanner, letting you switch back and forth as needed. The SecureLink network device can run your scanner by itself, so you don’t need to have each check scanner tethered to a dedicated workstation, or Digital Check drivers and software installed on each device that will control the scanner. Just use the browser on a connected device to operate it and let SecureLink take care of the rest. Our scanners maintain the same high standards for image quality and MICR read rates no matter how you connect to them.